The latest epic volume in the multimillion-copy bestselling Outlander series.It is June 1778, and the world seems to be turning upside-down. The British Army is withdrawing from Philadelphia, with George Washington in pursuit, and for the first time, it looks as if the rebels might actually win. But... read more for Claire Fraser and her family, there are even more tumultuous revolutions that have to be accommodated.Her former husband, Jamie, has returned from the dead, demanding to know why in his absence she married his best friend, Lord John Grey. 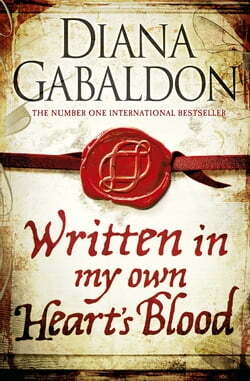 Lord John's son, the ninth Earl of Ellesmere, is no less shocked to discover that his real father is actually the newly resurrected Jamie Fraser, and Jamie's nephew Ian Murray discovers that his new-found cousin has an eye for the woman who has just agreed to marry him.And while Claire is terrified that one of her husbands may be about to murder the other, in the 20th century her descendants face even more desperate turns of events. Her daughter Brianna is trying to protect her son from a vicious criminal with murder on his mind, while her husband Roger has disappeared into the past . . .